Bluetooth Speakers are now equally important as earphones. So, most of the people prefer to have one. You can wirelessly pair it with your laptop or mobile phone to enjoy movies or music at home. While good Bluetooth speakers come with a high price tag, not all people can spend much. You can still buy some good value for money Bluetooth speaker under 1000 INR. I have tested few budget Bluetooth speakers priced less than Rs. 10000. These deserve to be listed due to a good build, loud sound, and good battery. So, check this list of best Bluetooth speakers under Rs. 1000 and get one for you. Here is the list of best Bluetooth speakers under Rs. 1000. Check specs of all the speakers and select one. boAt Stone 200 is not exactly priced under Rs. 1000, but less than Rs. 1100. In some occasions, you can get it for less than Rs. 1000 as well. I added it to this list because you can get an excellent speaker by raising the budget just Rs. 1000. The most notable feature of boAt Stone 200 is IPX5 rating and it features a shockproof design. So, it is good for outdoors as well. It features 50 mm driver of 3W output that produces a loud sound. The frequency response is 180Hz-20KHz The bass is average but I still find is best in this class. If you are using it on or less than 80% sound level, it developers excellent music clarity. It uses Bluetooth v4.1 to connect with the phone but also features AUX input. So, you can also use it as a wired speaker when needed. It also has a built-in microphone for offering hands-free calling. It packs 1500 mAh battery that delivers around 9 hours of battery backup. For Rs. 1100, this one is really an amazing speaker to use at both indoor and outdoors. The IPX5 rating and its 9 hours of battery life convinced me to put it at the top of this list. 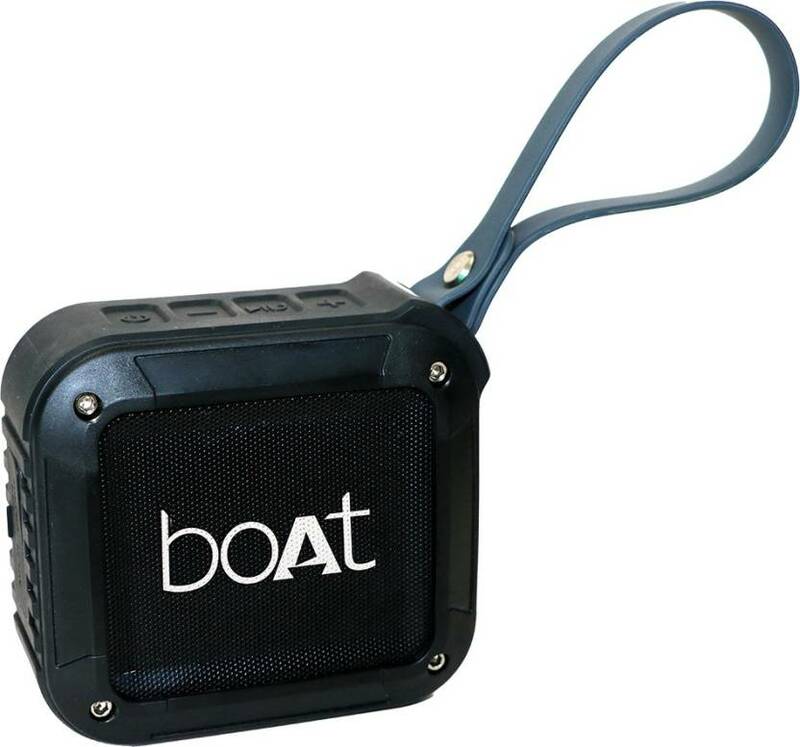 If you want a good Bluetooth speaker in 1000 INR, you must buy Boat Stone 200 if you can spend additional Rs. 100. If you are strict to Rs. 1000 Budget, F&D W4 is the best speaker you can buy. It is a pocket speaker that comes with a cup shape. The classic design of the speaker looks really good. It has a 38 mm 3W driver offering loud sound and decent music experience. The bass is also decent considering the price and size. It can still fill up the music in a room with over 300 sqft, so it is good for the home party. It has a speaker unit at the top while the front side has music control buttons. It offers 360 degrees Sound Field. It supports Bluetooth 4.1 to pair with your phone and stream music. But you also have TF card slot as an additional input option. It offers around 5 hours of battery life that is good enough to get in a budget speaker. If you do not care for outdoor usage, this one is also excellent that does a really good job. You will surely be impressed with its sound and music experience. 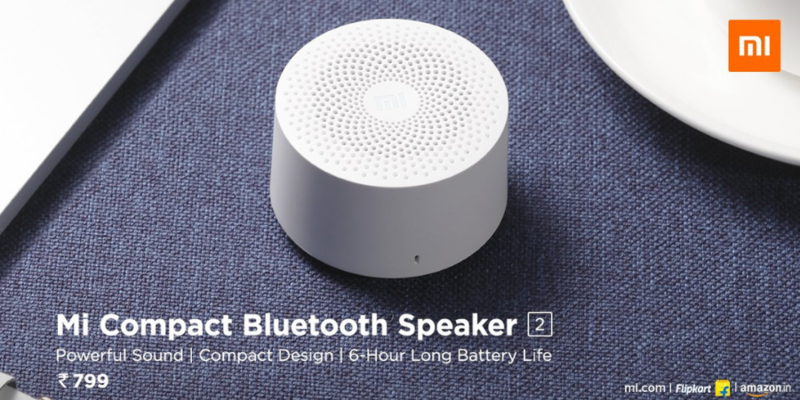 Xiaomi recently launched Mi Compact Bluetooth Speaker 2 in India and promises good music. 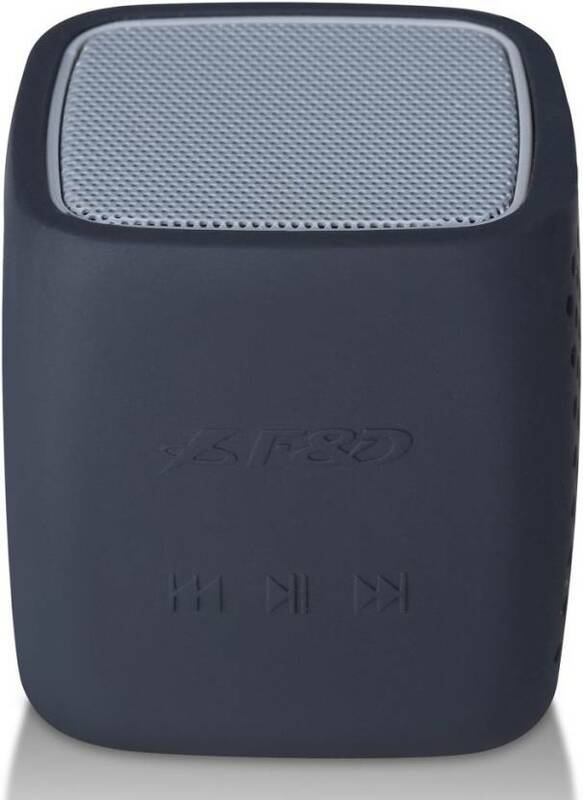 This one is also a pocket speaker that takes less space in the bag and can also be carried in the pocket. It has parametric mesh design that looks really good. The driver added in the speaker has an impedance of 4 Ohm and an audio frequency range of 200Hz to 18000Hz. It is loud and offers good music. While the bass is average, it is still good enough for indoor usage. It features Bluetooth 4.2 with support to A2DP, AVRCP, and SPP profiles and also has a built-in microphone for hands-free calling. It looks really premium and is small enough to carry in your bag. frequency response 200Hz to 18000Hz. 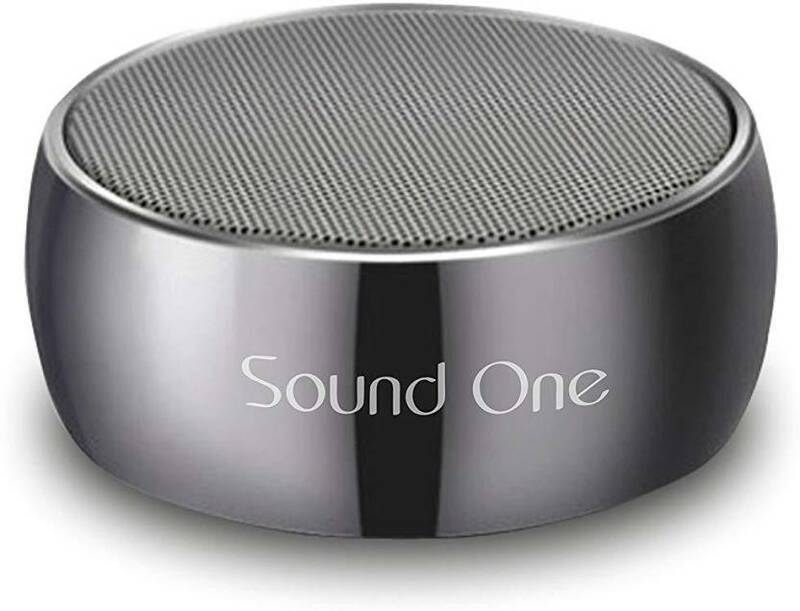 Sound One Rock is also an ultra-portable Bluetooth speaker in less than Rs. 1000. It comes in Silver and Black options with excellent build quality. The metal body of the speaker feels really premium and makes it heavy. It weighs 300 grams. The top side has audio diver with metallic grille at the front while the base side has rubber finish so that it doesn’t slip on plain surfaces. The 3W audio driver delivers good audio and produces fine sound even on high volume. It packs advanced chip for louder sound and good bass. Along with Bluetooth connectivity, it also has an Aux port and TF card slot. So, you can even add a microSD card full of your songs or use it as a wired speaker. This is another advantage of this speaker after a premium metallic build. It offers around 5 hours of battery life with a fully charged battery. If you want a good looking but nice performing budget Bluetooth speaker, this one should be your choice. Ambrane is a known name for mobile and computer accessories. 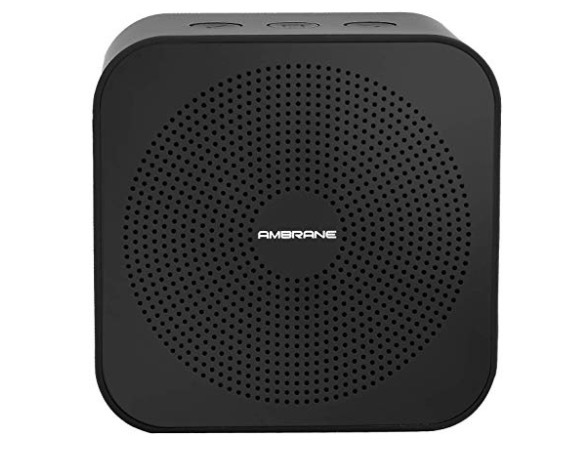 It also has Ambrane BT-2100 Bluetooth speaker in the price range of Rs. 1000. This is a multifunctional Bluetooth speaker with good sound and nice features. It is small in size but looks really premium. It has volume control buttons at the top. The back side has Aux port, card rear, and a micro USB port. It has a 52 mm driver capable of offering up to 3W of output. The speaker produces clear and loud sound. It also has moderate bass. It offers Bluetooth 4.1, AUX and TF Card connectivity. So, you can not just use it as a wireless Bluetooth speaker, but also connect it to Aux cable and insert a microSD card. It also has a built-in microphone for hands-free calling. The speaker packs 500 mAH battery that offers around 5 hours of battery backup and up to 20 hours oft and by time. Up to 5 hours of battery. These are some good Bluetooth speaker under 1000 INR. If you have a budget of Rs. 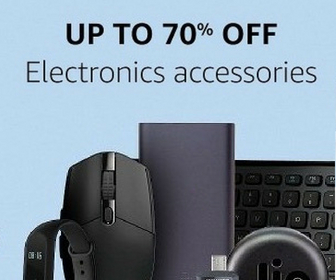 1000 to buy a good Bluetooth speaker, you can consider any of these speakers. If you also know any other good budget Bluetooth speaker that you have personally tested, you can let me know. I will test that to see where to fit it in this article. I hope this article of best Bluetooth under Rs. 1000 helped you in getting a right choice for you.